ParkVia offers private, secure car parks for Paris Charles de Gaulle airport, with shuttle transfers. So you can arrive at the airport without the worry of having to find a parking space. And, there is no booking fee when you are booking for Paris Charles de Gaulle airport parking! To check prices and availability simply enter the dates and times required and click on "Check Availability". When you have completed your booking for Charles de Gaulle airport parking, you will receive a confirmation email with your booking reference, the address and directions to the car park as well as important contact telephone numbers. 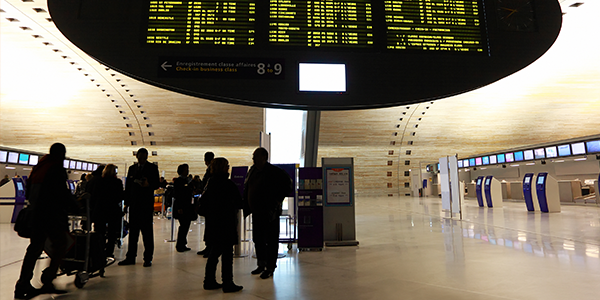 Aéroports de Paris is a company created in 1945 with the intention of unifying the airports around Paris. Paris Charles de Gaulle airport, also known as Roissy Airport, was built nineteen years later due to the saturation of the airports at Paris-Orly and Paris-Le Bourget. The airport, is located 23 km north east of Paris. It has three terminals through which 62,052,917 passengers passed in September 2013, making it Europe's second busiest airport (after London Heathrow) in passengers served. The main airlines operating from this airport include Air France, British Airways, EasyJet, Iberia, KLM and Lufthansa. They fly to a huge number of worldwide destinations.